There has been so much – far too much – media discussion as to whether or not the tragic murder of three Muslim-American students, Deah Shaddy Barakat, Yusor Mohammad Abu-Salha and Razan Mohammad Abu-Salha, was a hate crime or merely a parking dispute. 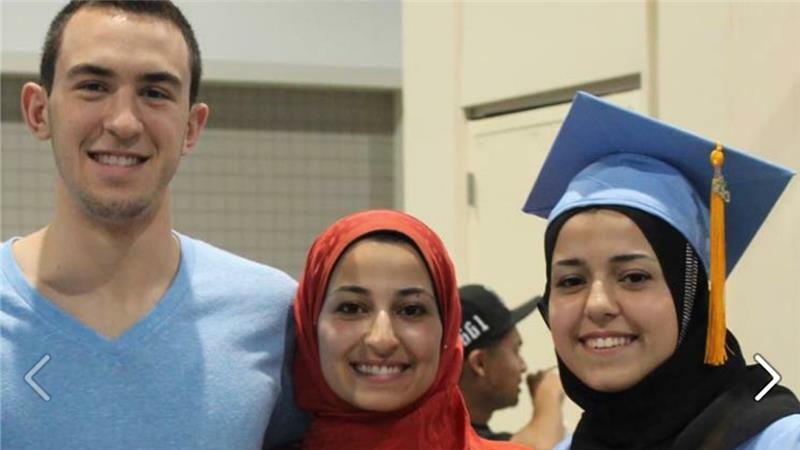 During the course of this open conversation, some very well-meaning people have asked, why does it matter if Craig Stephen Hicks killed these three young people because they were Muslim? Hate is hate. Regardless of the murderers specific motivation, three infinitely precious lives have been snuffed out forever. That is the kind of comment that can only be made by someone who has never felt discriminated against or targeted because of the group to which he/she belongs. Why does it matter? Because too often, these kinds of crimes are not simply random acts of hate. They are part of a larger pattern. And unless we recognize these patterns and do what we can to address their root causes, these tragedies are surely destined to recur again and again. Unless one is part of a group that has been historically targeted by hate and intolerance, it is difficult to fully understand the sense of vulnerability that comes from being singled out in this way. As a Jew, I completely understand the feelings of Muslims the world over who saw nothing random about this act – and are deeply galled by the suggestion that this was caused by nothing more than a parking dispute. Such an experience is born from living within a legacy of hate being directed toward one’s people over and over again. You ask yourself: Are we destined to remain “otherized,” categorically excluded, alienated and repelled from the very society in which we live? Must we constantly assert our Americanness and prove our loyalty, only to be demonized, vilified and caricatured by our media? I frankly wish that the media would focus less on the tortured psyche of Craig Stephen Hicks and much more on the truths expressed by the words above. The real question we should be asking ourselves is not whether or not this was about parking spaces but rather how we will address the rising culture of Islamophobia in this country so that there will be less crimes such as this in our future? While we’re at it, I would suggest avoiding the well-meaning but ultimately empty bromides that point out it doesn’t really matter why Hicks pulled the trigger. It does matter. It matters profoundly. This entry was posted in Current Events, Islam, Racism, Terrorism on February 13, 2015 by Rabbi Brant Rosen. This fits right in with what I’ve been writing about peace, and with what Martin Luther King, Jr. is quoted as saying, that “we will learn to live together as brothers, or we will die together as fools.” I prefer peace. Thank you for bringing this piece to my attention gwpj. I hate the violence, and the way sections of society have to demonstrate their loyalty to the whole more than other sections do. It just makes me sad and irritated in equal measure. Thank you so much for writing this much needed piece. Yesterday I watched the friend of the murdered young woman speak about her friend and the events that led up to the murder on Democracy Now. I saw young Americans who actually speak American English as though it was a real language. I saw altruism and intelligence and people I would welcome as neighbors with joy. Abstraction melted before the actuality of the beauty and dignity of these people whose deaths are not only a loss to their families and their people but a cavernous loss to America. When I was in Jerusalem hospital, late in 2005, having become ill during a two-week tour, one day I was being pushed through the hall to another room, when the orderly stopped. He looked around and, seeing we were quite alone, (I think in the basement) ,loudly expressed–I think in Hebrew–his hatred of Arabs. I, too,am to blame, for–regardless of being ill– I said little, or probably nothing, in reply..,. Reblogged this on America's "Race". Amen. Thanks for this, R’ Brant. This was the subject of my d’var Torah this morning. Thanks, Brant; right on target. Dear Rabbi Brant Rosen: Thank you so much for your piece. In this time of hate and fear, your words offer American Muslims support and encouragement. All I want to say is THANK YOU! Any collective judgement of a group hurts all of us whether we identify with a recognized ethnic, religious or other group or not.